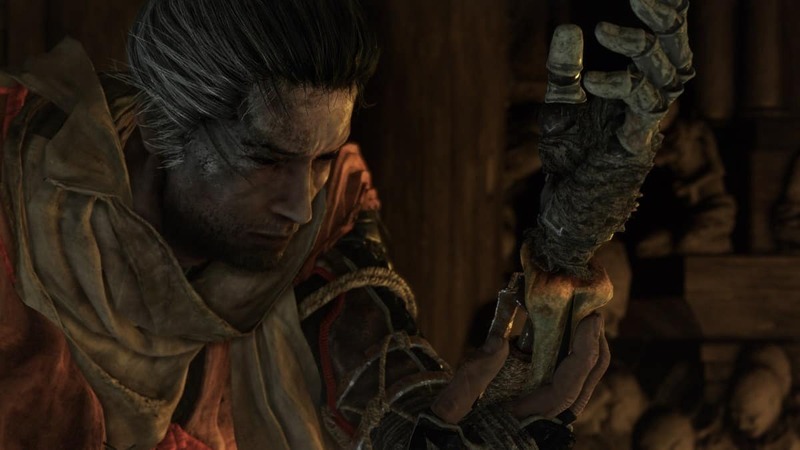 Following the footsteps of Dark Souls and Bloodborne, FromSoftware’s Sekiro Shadows Die Twice has a variety of Consumables, Keys, Upgrade Materials, and other items that can help you during combat. During the course of your journey through Shadows Die Twice, you should consider going out of your way in order to find most if not all of these items and consumables. 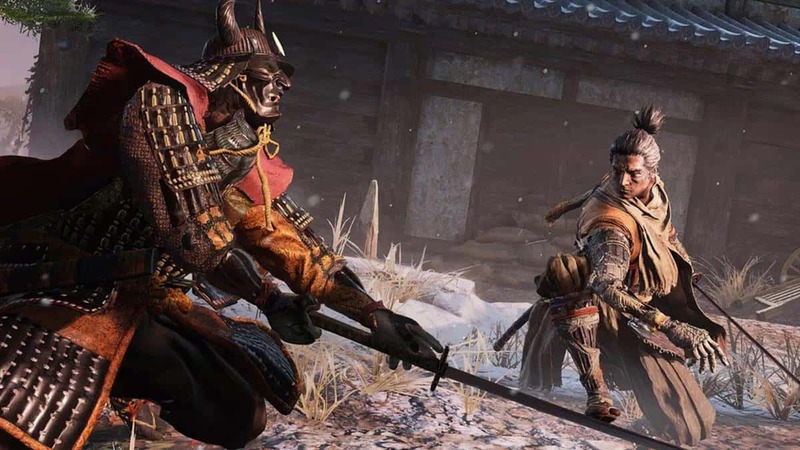 As you might have guessed, items in Sekiro are divided into a total of four categories. These include Quick Consumables, Key Items, Upgrade Materials, and Shinobi Prosthetic Tools. You should be able to buy some of these items from Sculptor’s Idols scattered all around the world or buy them from NPC merchants. 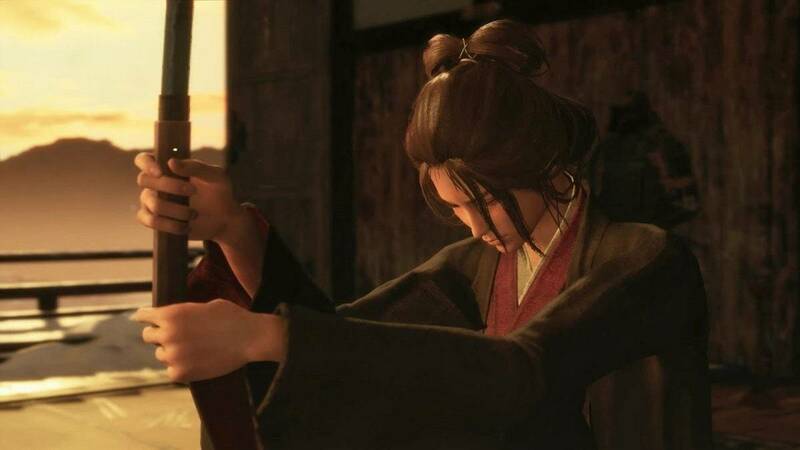 As for the others, you should be able to locate them sitting in the world of Sekiro Shadows Die Twice so make sure to keep your eyes peeled for them. These are items that the player can slot and use in combat. They can be found around the game world and drop from enemies from time to time. You can also purchase them from Merchants. Ako’s Sugar Temporarily increases Posture Damage dealt to enemies. This is usually dropped by Monks upon death and can be found scattered throughout the landscape e.g. Ashina Outskirts, Hirata Estate, Ashina Castle, Sunkey Valley Passage, Fountainhead Passage, and Abandoned Dungeon. Antidote Powder Heals Poison, reduces Poison buildup, and increases Resistance. This is dropped by enemies upon death and scattered occasionally throughout the landscape in areas like the Sunkey Valley Passage and Hirata Estate. It can also be purchased from Fujioka the Info Broker and the Toxic Memorial Mob. Ceramic Shard Throw to distract enemies and make them inspect the noise. This item can be collected from enemies you defeat and especially after you defeat the boss Leader Shigenori Yamauchi in Ashina Reservoir. Other locations include Ashina Castle, Fountainhead palace, Mibu Village and Sunken Valley. Divine Confetti Allows attacks to hit ghost-type enemies. There is a small chance that the Blue-Robed Samurai will drop it. He can be found near the Antechamber Sculptor’s Idol located in Ashina Castle. The praying woman at Ashina Castle idol will give it to you if you use a balloon next to her. It can also be found in places such as the Hirata Estate, Sunken Valley Passage and Fountainhead passage but you can obtain an unlimited amount from Fujioka the Info Broker. Divine Grass Fully restores Vitality and cures all status abnormalities This item can be found in Ashina’s Castle where you fight General Kuranosuke Matsumoto. It will be in a chest behind him. Alternatively, you can find it in Mibu village and Fountainhead Palace. Dousing Powder Heals Burning, reduces Burning buildup and increases Resistance. It is found in Dragonspring, Hirata Estate at the dead end of the bridge that you move to. In fact a lot of Dousing Powder can be found in Hirata Estate, either dropped by enemies or scattered about. Fistful of Ash Throw it at an enemy to temporarily distract and blind them. This item can be found in many areas such as under the shack in the area where you fight General Naomori Kawarada. It can also be found in Ashina Castle, The Sunken Valley Passage, Mibu Village, Hirata Estate, Ashina Outskirts, and Ashina Depths. Gachiin’s Sugar Temporarily reduces noise made from movement. Enemies will drop this item and it can be found scattered around areas. In Ashina’s Outskirts, it’s near the Ashina Castle Gate Fortress Idol. Gokan’s Sugar Temporarily reduces Posture Damage taken from enemies. This item is dropped by foes and scattered across Hirata Estate and Ashuba Castle. In the Fountainhead Palace, you can find this item after crossing the destroyed bridge. Backtrack to the waterfall area through the rooftops to find it on a nest on the roof. Healing Gourd Replenishes health quickly through limited uses – recharges while resting. Check Healing Gourd Guide for locations. Heavy Coin Purse Use to obtain a greater amount of Sen immediately. You can purchase it from merchants, the Dungeon Memorial Mob or the Shugendo Memorial Mob. It can also be obtained from the Sunken valley, Ashina Depths and Fountainhead Palace. Homeward Idol Allows user to teleport to last Sculptor’s Idol or to the Dilapidated Temple. This is given to the player at the start of the game. Light Coin Purse This item holds 100 Sen for 110 Sen and while this may seem like a bad deal, it’s useful for obtaining a handful of Sen immediately and protecting it. The Sen in this purse stays with you even after you lose half the Sen on you upon dying. This item is behind the cabin in which you wake up after the Genichiro Ashina fight. This item is behind the cabin in which you wake up after the Genichiro Ashina fight. You can also find it in the Hirata Estate, Ashina Castle, Mibu Village, Fountainhead Palace or purchase it from a merchant. Mibu Balloon of Spirit Temporarily increases rate of gaining Spirit Emblems. This item is scattered throughout the landscape and you’ll encounter it before you commune with the Great Serpent idol. Mibu Balloon of Wealth Temporarily increases rate of obtaining Sen. You can find this item just past the Outskirts Wall – Gate Path Sculptor’s Idol head into the next small town area and in the center of the area will be in the bottom level of a broken down house, after the fight with General Naomori Kawarada. You can find this item just past the Outskirts Wall -Gate Path Sculptor’s Idol head into the next small town area and in the center of the area will be in the bottom level of a broken down house, after the fight with General Naomori Kawarada. It will also be scattered across areas like the Ashina Outskirts, Fountainhead Palace and the Mibu Village. Mibu Possession Balloon Temporarily increases rate of obtaining Items. Enemies will drop this and it is scattered across areas such as Hirata Estate, Ashina Outskirts, Ashina Castle and Fountainhead Palace. Oil Douses an area and enemies in oil to become more susceptible to fire. Human enemies sometimes drop this item and it’s in areas such as Hirata Estate, Ashina Depths and the Abandoned Dungeon. Pellet Slowly replenishes health over time after consumption. This item can be obtained in many ways but is rewarded to you upon defeating your first Heavy Enemy that requires a second Deathblow to overcome. Enemies drop them and they’re scattered across the Hirata Estate, Ashina Castle, Sunken Valley, Sunkey Valley Passage, Mibu Village, Ashina Depths and Fountainhead Palace. Snap Seed Breaks the effect of Illusion Techniques. This item is scattered throughout the landscape. 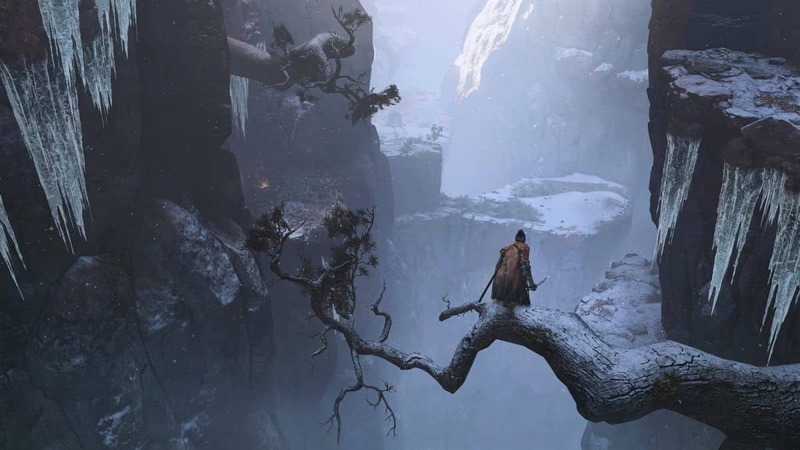 You can find 5 after stabbing the great serpent in Ashina Outskirts and you can find the rest in areas such as the Sunken Valley, Sunken Valley Passage and Ashina Depths. Ungo’s Sugar Temporarily increases Defense and reduces damage taken. 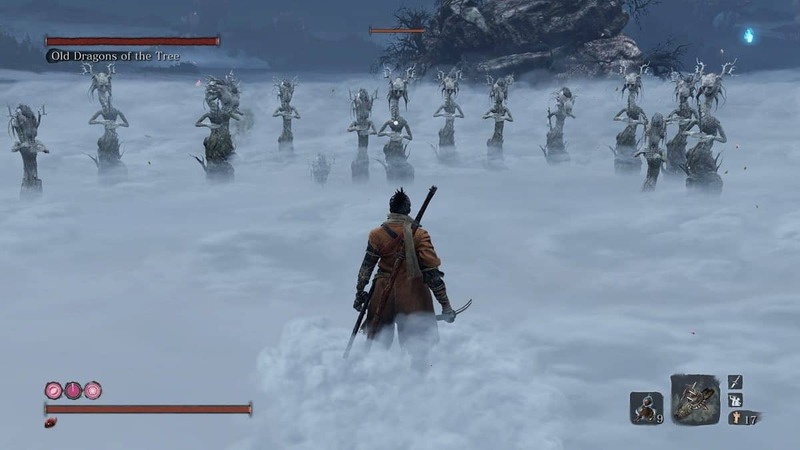 You can find this item on the top landing once you go from the Ashina Outskirts Sculptor’s Idol head up the cliff straight behind it and up to the cliff to the right. Enemies tend to drop it and it’s scattered across areas such as Ashina Castle, Hirata Estate and Fountainhead Palace. You can also purchase it from the Toxic Memorial Mob merchant. White Spirit Emblem The fuel that you burn to perform moves with your Shinobi Prosthetics. At the beginning of the game, these are all you can purchase from any Sculptor’s idol with Sen. We recommend spending your money on Spirit Emblems since you lose half of the Sen you’re carrying when you die and there’s no need to save up. At the beginning of the game, these are all you can purchase from any Sculptor’s idol with Sen. We recommend spending your money on Spirit Emblems since you lose half of the Sen you’re carrying when you die and there’s no need to save up. These allow players to advance certain quests, access undiscovered areas, and even diversify the inventories of Merchants. They are found in very specific locations and are not random. Dragon’s Blood Droplet Increases Ressurective Power and cures victims of the Dragonrot. You gain one of these after giving Emma a blood sample from a Dragonrot-afflicted NPC. This item can also be purchased from the Battlefield Memorial Mob, Shugendo Memorial Mob and Toxic Memorial Mob. Esoteric Text This book contains secret techniques that can unlock new Skill Trees to learn from. Check out our Esoteric Text Locations Guide for more info. Floating Passage Text Unlocks the Floating Passage Combat Art. You can purchase this item from Pot Noble Harunaga. Gatehouse Key Unlocks the Samurai Gatehouse in the Ashina Reservoir You can obtain it by revisiting the Ashina Reservoir and eavesdropping on the enemies. They will drop the key once defeated. Alternatively, you can obtain it after Ashina castle is attacked by taking a left before the staircase leading to the castle’s front door. The bag containing the key is next to a dead spearman. Hidden Temple Key Key to the Hidden Temple at the Hirata Estate. The Owl gives it to you when you encounter him in Hirata Estate, just past the bridge from the Thicket Idol. Kusabimaru The Wolf’s katana, given by Lord Kuro. Default. Mask Fragment A fragment of an old dancer’s mask Two fragments of an old dancer’s mask. One can be bought at the Abandoned Dungeon Entrance from the Dungeon Memorial Mob. The other can be purchased from the Pot Noble Harunaga in the Hirata State. Ornamental Letter A letter thrown into a well A letter thrown into a well by a woman during a prologue cutscene. It’s in the Ashina Reservoir. Rat Description A description of the “rats” that have snuck into Ashina. You get this after speaking with Tengu of Ashina and agreeing to help with his rat problem. You can find him by turning around from Ashina Castle Gate Sculptor’s Idol, crossing the battlefield and heading up the large staircase. At the top of the staircase turn right and enter the temple. Rot Essence Robato’s FirecrackersCan be fitted into the Shinobi Firecracker Prosthetic Tool. This item is gained after dying multiple times. Sakura Droplet A symbolic item of a character’s affliction of Dragonrot – lowers the chance to receive Unseen Aid. You gain this after defeating Lady Butterfly. Shinobi Prosthetic The Wolf’s new Prosthetic Arm, which can be fitted with gadgets. You will receive this item following the cutscene after losing the fight against Genichiro Ashina in Ashina Reservoir. You will receive this item following the cutscene after losing the fight against Genichiro Ashina in Ashina Reservoir. Unrefined Sake The Wolf’s new prosthetic arm, which can be fitted with gadgets. You can obtain this from killing Juzo the Drunkard in the Hirata Estate, Tokujiro the Glutton in Ashina Depths and Genichiro Ashina. Young Lord’s Bell Charm A charm given by an old woman that can be used to unlock a distant memory – and unlock the Hirata Estate region. The old woman will be in the lower destroyed house just past the location you fight General Naomori Kawarada. The old woman will be in the lower destroyed house just past the location you fight General Naomori Kawarada. These are special components found in the world and used to create and upgrade Prosthetic Tools. The upgrades you do will make the Wolf more powerful and customize the performance of the Shinobi Arsenal. Black Gunpowder Upgrades Prosthetic Tools that use fire It’s dropped by enemies and scattered around in the Ashina Outskirts, Ashina Castle, Sunken Valley, Ashina Depths, Mibu Village and the Abandoned Dungeon. Lump of Fat Wax Unknown Upgrade Item It’s dropped by the Monks in Senpou Temple, Mt. Kongo and the flute players in the Fountainhead Palace. You can also find it by defeating O’Rin of the Water in the Mibu Village. Scrap Iron Unknown Prosthetic Upgrade Item Guards at Hirata Estate Rats and other Enemies drop it upon death. It’s also found scattered around the Ashina reservoir, Ashina Castle, Ashina Depths and Abandoned Dungeon. Scrap Magnetite Can be used in Shinobi Prosthetic Upgrades. You can purchase 2 from the Shugendo Memorial Mob and find some at the Ashina Reservoir after beating the Lone Shadow Longswordman. Other locations where it can be found include Ashina Castle, Ashina Reservoir, Mibu village, Fountainhead Palace, Sunken Valley and Abandoned Dungeon. Shuriken Wheel Can be fitted into the Loaded Shuriken Prosthetic Tool This item can be looted from a corpse in a building at the Outskirts Wall – Gate Path Idol. Prayer Bead Can be combined with three other beads to increase your Vitality Check out our Prayer Bead Locations Guide for more help. Shinobi Axe of the Monkey Can be fitted into the Loaded Axe Prosthetic Tool. You can find this item in the Hirata Estate when you encounter a dying man on the path where you acquired the Flame. He’ll tell you aobut the axe and you’ll find a courtyard where two guards are talking. Eavesdrop and listen on their discussion regarding their plan to burn a temple. Kill them and then open the small garden house where the guards were standing to find the material. Gourd Seed Increases the volume and charges of the Healing Gourd. You’ll get these from defeating certain enemies and (rarely) just sitting in the world. Sometimes, merchants will sell them, too. This is the most valuable item in the game so make it your first priority to buy it. You can do so by either consuming the Coin Purses in your inventory to get more money or by warping to a Sculptor’s Idol and killing enemies around the area to collect Sen. You’ll get these from defeating certain enemies and (rarely) just sitting in the world. Sometimes, merchants will sell them, too. This is the most valuable item in the game so make it your first priority to buy it. You can do so by either consuming the Coin Purses in your inventory to get more money or by warping to a Sculptor’s Idol and killing enemies around the area to collect Sen.
Flame Barrel Can be fitted into the Flame Vent Prosthetic Tool. This item is found inside a campfire that is northeast of the Estate Path Idol in Hirata Estate. Prosthetic Tools are found throughout the world and can be equipped into the Shinobi Prosthetic Arm and used during combat and exploration. Unknown Upgrade Item Can distract or stun enemies to allow the player to escape dire situations. Unknown Prosthetic Upgrade Item Short axe that can overpower and break enemy shields. Can be combined with three other beads to increase your Vitality A steel fan that opens up like a shielding umbrella. 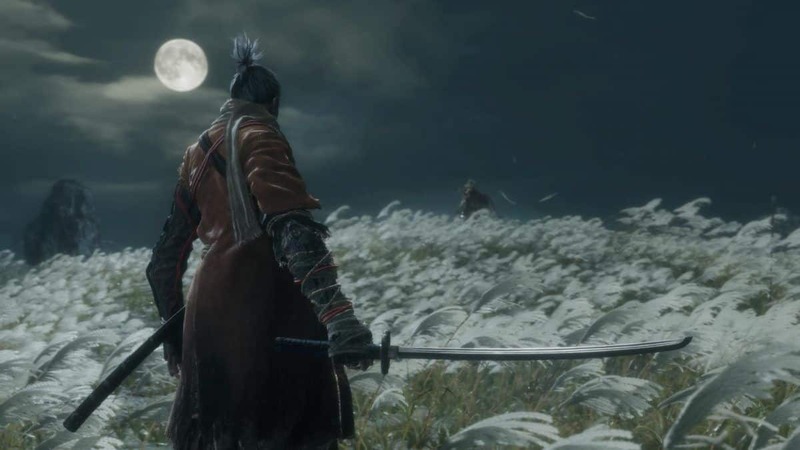 Can You Beat The Prologue Boss In Sekiro Shadows Die Twice? 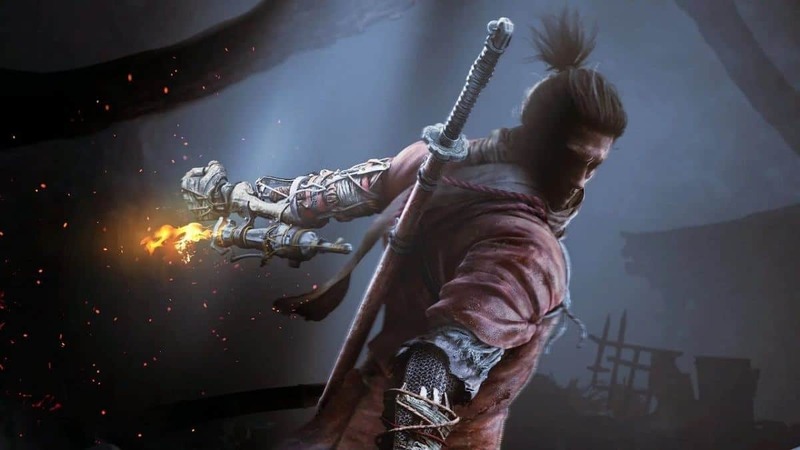 Sekiro Shadows Die Twice Difficulty Doesn’t Need An Easy Mode, Git Gud!